Relationship Intimacy Couples Counseling can help prevent a loss of affection and happiness in your marriage. If you feel alone in your marriage contact us today for help. You can call us at 918-281-6060 or 405-237-9697! 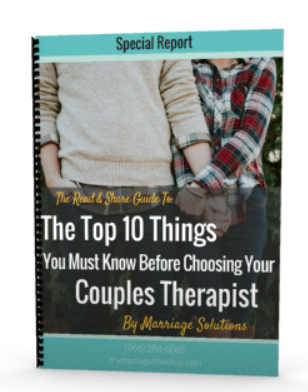 Can Marriage Counseling Help Me Not Feel Lonely in this Marriage? Marriage counseling helps you to not feel lonely because we help your spouse to respond in a healthy way to your needs. We facilitate conversations you would not be able to have otherwise. We do this by creating a safe environment for people to be real with each other. We get real by sharing our emotions. But most of us have no idea how to do that. Most of us have been taught to hide our feelings. To apologize for how we feel...sometimes we even apologize for existing and having needs at all. We create a safe place for you to be you. We help your spouse to show up for you and we help them develop an emotional vocabulary. This is the biggest way we help take away the loneliness. At Marriage Solutions, we have physical locations in Tulsa and OKC. We also have options to get help online. So no matter where you live, you can find the help that you need. Conflict leads to emotional distance. Usually a heated discussion will start with one partner feeling criticized and becoming defensive and counter-attacking the other partner. If this pattern goes on long enough one or both partners will eventually quit communicating their needs and wants because it always results in a fight. This is very dangerous because it will lead to a loss of affection and happiness in your marriage. You will eventually feel like you are married to a stranger. Feeling lonely in your marriage also makes affairs more likely to occur. We have two locations, one in Tulsa and one in OKC, and serve a number of surrounding areas.